Skin lighteners often come in the form of a cream and are also referred to as skin whitening or skin bleaching products — although the latter term is misleading, as bleach is not used. Skin lightening creams are generally prescribed by dermatologists to address pigmentation irregularities, but in some cases they are instead used for overall complexion lightening. Unregulated, mislabeled, or illegal products — in some cases containing mercury and other life-threatening ingredients — are increasingly common in the United States. Skin lightening is one of the fastest growing segments of the skin care industry — most notably in Asia, the Middle East, and Africa, although the trend is also on the rise in North America and Europe. It’s predicted to triple in value by 2024, pulling in more than $30 billion annually from markets across the globe. Most often, skin lightening creams are used to reduce the appearance of dark spots or blemishes on the face or hands. In many cases, however, consumers are driven by deep-seated views of beauty that prize lighter skin. In the United States, this has led to an increase in the number of unregulated skin lightening products on the market. FDA-approved skin lightening products can be safely used under the supervision of a doctor or dermatologist. However, using unregulated or illegal substances can lead to significant health problems. In order to understand which of these products you need to avoid or be careful with, it’s important to first understand how they work. Melanin is largely responsible for the color of the skin. It also plays an important role in protecting the skin from harmful UV rays. Melanin production occurs in the skin through a complex process known as melanogenesis, which involves the creation of melanin in skin cells called melanocytes. The melanin is then transferred to keratinocytes, the most common type of skin cell, where it darkens the skin. Inhibiting the development of tyrosinase, a precursor to melanin. Preventing the transfer of melanin from melanocytes to keratinocytes. Directly destroying existing melanin or melanocytes. Melasma, a condition which creates grey-brown spots, usually on the face. Freckles, which may be unwanted. Vitiligo, a condition which causes people to lose the melanin in their skin. There are countless products available to treat pigmentation problems. Dr. Tsippora Shainhouse, of Rapaport Dermatology in Beverly Hills, CA, has some advice on which ones to choose: “Look for ingredients like kojic acid, azelaic acid, vitamin C, niacinamide, licorice root and hydroquinone,” she advises. Although these products are generally safe, in some cases they can still cause some minor problems. To prevent this, Shainhouse recommends using them only a few times a week, until skin can tolerate them, and layering them over a moisturizer, which can act as a barrier. Hydroquinone is one of the most widely used skin whitening products, and has been on the market for decades. It works by both inhibiting the production of melanin and decreasing the amount of melanin already present in the skin. Hydroquinone may be prescribed by your doctor to treat certain conditions like those mentioned above, although its use remains controversial. In fact, the Food and Drug Administration (FDA) recommended banning the product in 2006, but withdrew its suggestion amid disputes. It’s legal for over-the-counter sale in the United States and Canada in concentrations of up to 2%, although products with higher concentrations require a prescription. Hydroquinone may be identified in cosmetic products as arbutin, a naturally occurring compound present in the leaves of bearberry, cranberry, and pear plants. It may also be listed as alpha-arbutin or beta-arbutin in cosmetics. Ochronosis is a rare condition that can be caused by long-term and extensive use of hydroquinone, and especially affects people with dark skin. In this condition, the skin turns blue-black in uneven patterns. This condition most commonly affects the face. Skin cancer can be linked to hydroquinone and all bleaching creams due to the reduction of melanin in the skin. If you intend on using bleaching creams, remember to wear sunscreen daily. Eye damage through exposure to hydroquinone can lead to pigmentation of the eye and permanent damage of the cornea. Respiratory tract irritation can result through the inhalation of hydroquinone, including beauty products. Consistent exposure to hydroquinone can lead to decreased lung capacity and other upper respiratory problems. Overall, hydroquinone remains popular. It’s likely to remain available for over-the-counter use in the United States since, despite the 2006 controversy, the FDA has labeled it as safe and effective. Glutathione is a naturally-occurring antioxidant that’s already present in the human body. Its use as a skin lightener has rapidly gained popularity around the globe, including the USA. It inhibits the development of tyrosinase. It changes the type of melanin produced, from the darker eumelanin to the lighter phaeomelanin. As an orally-administered tablet or supplement, it’s generally recognized as safe by the FDA, and is available without a prescription. It’s even been recognized as useful for liver-related health problems. Glutathione’s use as an intravenously (IV) administered whole-body skin lightener is problematic. Among other concerns, no conclusive evidence exists supporting the efficacy of these treatments. It’s important to remember that no IV treatment is currently approved by the FDA for skin lightening. Despite that fact, glutathione injections are available at clinics across the United States. Furthermore, the reports on glutathione’s safety are currently controversial, especially when it comes to high-dose treatment. A number of health problems have been documented relating to frequent high-dose IV treatment, including abdominal pain, thyroid, liver, and kidney dysfunction, and even fatal sepsis from unsterile or unprofessional IV applications. Using unregulated and poorly understood substances intravenously can be very dangerous, and should be avoided. Through vasoconstriction (constriction of blood vessels) blood flow to the surface of the skin is reduced, making the skin appear lighter. They reduce the number and activity level of melanocytes by reducing cell turnover — the rate at which skin cells die and are replaced. They reduce the number of melanocytes produced by reducing the hormone levels that regulate melanocyte production. Strong topical steroids are only available via prescription in the United States. However, they’re still often obtainable without a doctor’s prescription. The worst offender of the common skin whitening products is mercury. Mercury poisoning can lead to a host of neurological problems as well as kidney damage, and even death in extreme cases. Mercury is indeed very effective at whitening skin since it inhibits the production of melanin. However, its well-known toxicity makes it a dangerous product to use and it should be avoided. Mercury is allowed in the US only at concentrations of 65 parts per million (.0065 percent of the product) and only in eye creams. Despite bans and regulations in place, the FDA indicates that mercury-based skin lightening products are still available in the USA. Many of these products are illegally brought into the US, thus bypassing all safety regulations. An American Association of Dermatology study showed that 12% of skin lightening products in four major metro areas contained mercury. If a product is unlabeled or was produced in a developing country, it’s best avoided as it may contain unregulated or unreported amounts of mercury. » Speak with a dermatologist before trying any type of skin lightening product. Use Zwivel’s free online consultation tool to schedule an appointment with a doctor near you. Hydroquinone may be identified in cosmetic products as arbutin, a naturally occuring compound present in the leaves of bearberry, cranberry, and pear plants. It may also be listed as alpha-arbutin or beta-arbutin in cosmetics. It’s legal for over-the-counter sale in the United States and Canada in concentrations of up to 2%. Products with higher concentrations require a prescription. Hydroquinone works to lighten the skin, but it also makes the skin more sensitive to the sun. After using any serum that has hydroquinone listed as an ingredient, it is highly recommended to apply sunscreen that contains between 15-20% of zinc. Admire My Skin’s Ultra-Potent Brightening Serum uses acids to gently peel dark pigmentation spots and reveal a more even skin tone. Noticeable results should begin to appear after 4 weeks of consistent application. Paula’s Choice Resist Triple-Action Dark Spot Eraser uses a combination of different essential ingredients to combat skin discolorations: 2% hydroquinone, an exfoliating 7% glycolic acid, and antioxidants. It’s a great solution to lighten dark spots, and also helps reduce signs of aging. Hyperpigmentation, sun spots, brown spots, and the effects of melasma can be difficult to remedy without spending large amounts on in-office treatments. Murad’s Rapid Age Spot and Pigmentation Lightening Serum targets these concerns at a reasonable price point. Additionally, the product contains SPF 30 to protect the skin from any further sun damage. 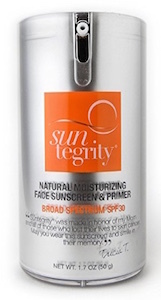 Suntegrity’s non-greasy, vegan-friendly SPF 30 Natural Moisturizing Face Sunscreen contains 20% of zinc. It is also infused with antioxidants and astaxanthin. 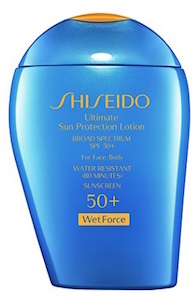 For anyone who enjoys swimming or working out outdoors, Shiseido’s Ultimate Sun Protection Lotion is an excellent water and perspiration-resistant sunscreen. Dey, V. K. (2014). Misuse of topical corticosteroids: A clinical study of adverse effects. Indian Dermatology Online Journal, 5(4), 436–440. Final report of the safety assessment of Kojic acid as used in cosmetics. Histopathological effects of mercury in skin-lightening cream. Glutathione as a skin whitening agent: Facts, myths, evidence and controversies. Sonthalia, S., Jha, A. K., Lallas, A., Jain, G., & Jakhar, D. (2018). Glutathione for skin lightening: a regnant myth or evidence-based verity? Dermatology Practical & Conceptual, 8(1), 15–21. The toxicology of hydroquinone–relevance to occupational and environmental exposure. Benn, E. K. T., Alexis, A., Mohamed, N., Wang, Y.-H., Khan, I. A., & Liu, B. (2016). Skin Bleaching and Dermatologic Health of African and Afro-Caribbean Populations in the US: New Directions for Methodologically Rigorous, Multidisciplinary, and Culturally Sensitive Research. Dermatology and Therapy, 6(4), 453–459.